There's an epidemic of joint deterioration in our Western society today. It's Christmas for orthopaedic surgeons, and chiropractors too, but there are so many simple things you can do for yourself that will make an enormous difference to the pain you may be feeling in your joints. I'm not going to harangue you, but do understand that, if you are significantly overweight, pain and pills are going to be your constant companions. Get it off, or suffer. And the best way is to seriously limit the carbs in your diet. A group of scientists scanned the literature and found that a magnesium deficiency is the underlying cause of a condition called ChondroCalcinosis. What's more, this condition exists in 10% of Western sixty-year olds. No wonder we are an arthritis ridden society. Chondrocalcinosis causes calcium deposits in the cartilage causing chronic arthritis. Spinach is the richest source of magnesium. Want to be painfree and strong like Pop Eye? How to grow spinach ... every family with a just a tiny garden should have a spinach patch. There is heaps of evidence now that folk who eat a diet rich in fatty fish have much less arthritis. FISH SOUP ... not difficult to make. Research (Ann Rheum Dis) done on a sample of twenty thousand people found that those who ate the most vitamin C rich foods were three times less likely to get arthritis, compared to those who ate the least. Don't forget our Chicken Bones page. A Harvard Medical school project showed that the bouillon made from chicken bones doesn't just make a delish soup, it also has powerful anti-arthritis properties. Of course all these chronic arthritis effects are additive. You eat little or no fatty fish, you abhor fruit and salads, you have a short leg, you're carrying too many pounds, and have had a whiplash injury... chronic arthritis. PAIN! This month we feature parsley again because of (along with spinach) it's magnesium content. Parsley is much more than a garnish. Why? Firstly, because parsley is very high in magnesium, one of the minerals, as we've already said, a deficiency is associated with chronic arthritis. Secondly, because it's unbelievably rich in vitamin K, a deficiency of which causes easy bruising. An incredible 1640 µg/ 100 g of parsley. One-and-a-half tablespoons contains your required daily allowance. folate and vitamin B6 vital for the breakdown of homocysteine, the stuff that causes arteriosclerosis and heart disease... parsley is good stuff. If you eat it! It's those flavonoids that give parsley a dark green colour. Flavonoids give fruit and salads their anti-oxidant, anti-cancer, anti-allergic and anti-inflammatory properties. For more about these nutrients, and others in plants that we eat, go to our AUTHENTIC HUMMUS RECIPE scrolling down until you come to more details about flavonoids. Include them in your diet, or suffer. The rule of thumb is a minimum of FIVE COLOURED FOODS per day, and I always aim for ten. This morning for breakfast I've already had my five: yellow maize meal porridge, a fruit salad with mulberries, oranges, pineapple and sweet melon, and scrambled egg with parsley on toast. My salad at lunch will include at least another five. Truth be told, I have a lot of cancer in my family. I'm pretty scared of it, so perhaps I go overboard. But then your family probably does too... cancer touches us all. 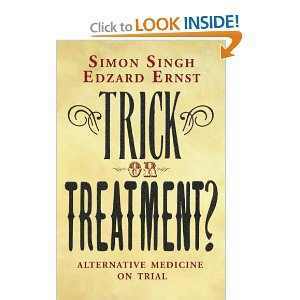 Trick or Treatment is a book that every chiropractor should read. It's a highly critical review of Chiropractic and other Complementary and Alternative Medicine (CAM) professions, written by two men with a distinguished background in science and medicine. For a layperson? Mm, if you are consulting chiropractors, homeopaths..., then you too should weigh these men's opinions. It's a book that is guaranteed to raise one's ire, and for that reason alone is worth reading! They make out that the scientific method is solely the territory of orthodox medicine. 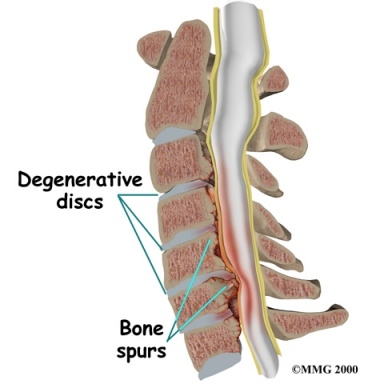 Reading any page at Chiropractic Help you will know that I plainly make a great deal of evidence-based chiropractic, and tell plainly what is anecdotal. Chiropractors also believe in the scientific method, and that our treatment should stand up to scientific scrutiny. That chiropractic trials have "tended to generate conflicting results and have often been poorly designed." (p190). However, read any review of medical research, and you will find that just as true of medicine. Read for example at our TOMATO PROSTATE page the confusion that medical research has produced over the possible benefits of exercise for the prostate gland. In all domains of research there are weak and strong studies. I personally heard Dr Ernst state on television that "whilst chiropractic neck manipulation is reported to cause a stroke only once in several million manipulations, due to underreporting it is probably 'fifty times' that", or words to that effect. I wonder how Dr Ernst would react if I was to publically state that the incidence of death due to a haemorrhage in the gut directly caused by anti-inflammatory medication was 14,000 Americans in one year (medicine's own research), but the real incidence is 'probably fifty times that'? There is a particularly interesting account of how medical doctors worked out that lemon and lime juice could cure scurvy, and how the man who made the first breakthrough, Dr Lind, shot his theory in the foot by attempting to make a concentrate that proved totally ineffective (the heat destroyed the vitamin C). It's a story about the pernicious effect of processing foods. I was particularly offended by their crude attempt to crucify chiropractic by our theories a century ago. I recall the opening of a chiropractic congress by a Minister of Health many years ago. Not knowing anything about chiropractic, she read up on what medical doctors were doing in 1895, the year that DD Palmer gave chiropractic its name. She gave us a hilarious account of the medical treatment of typhoid at that time, and how leaches were still being used. Her grasp of "the truth" was certainly different to that of Dr Ernst. He's a man with an agenda. I continually get letters from readers with desperate problems, but for whom both medicine and chiropractic have outpriced themselves. I will be unpopular with some colleagues for saying this, but I think that the greed that characterises much of medicine has permeated chiropractic too. We all want to be multi-millionaires, thinking that all that lolly will make us happy. This is nothing you can do to lower the costs of health care, but you can do an awful lot to help yourself. Start with doing the lower back exercises at Chiropractic Help EVERY morning before getting out of bed. Then make sure you're not on a black and white diet, it should have gone out with B&W television. Then try listening to this marvellous classic music station whilst working on your computer. Right now I'm listening to Grieg's piano concerto. Stunning. http://www.classicfm.nl/luister/classic-fm You'll have to endure a two-minute news broadcast every hour in Dutch but this is the best loved classic music station in the world. I love it personally. It's so relaxing. Take a walk today. With a hat on.